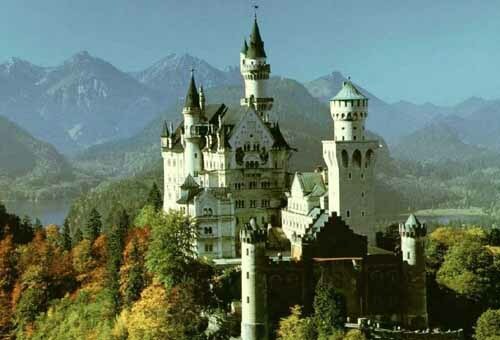 Neuschwanstein was also Ludwig's first castle . It is the ultimate fairy-tale castle. The castle was built in the style of the late romanesque period between 1869 and 1886 for the Bavarian King Ludwig II. The best view of the castle is from the nearby Mary's Bridge (Marienbruecke), which spans a deep gorge. On the path between this bridge and the castle is a wonderful view of Hohenschwangau and the Alpsee.